White Wizard Wavespell Two: Power of Timelessness begins today on Day 5 of the Magnetic Wind Moon. This day is coded by Dreamspell Kin 14: Magnetic Wizard and by Long Count Rhythmic Hand. 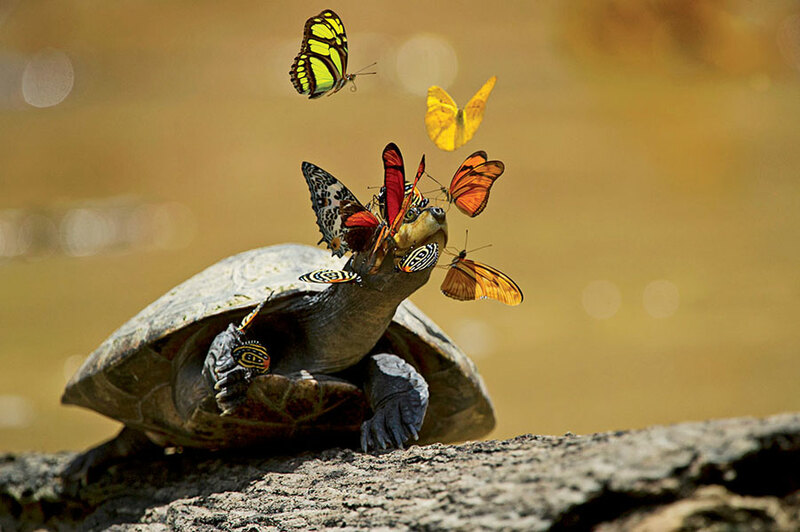 The Postulate for this Magic Turtle Day is a ‘timely‘ one to consider during this first full Wavespell of the Cosmic Turtle Calendar year. 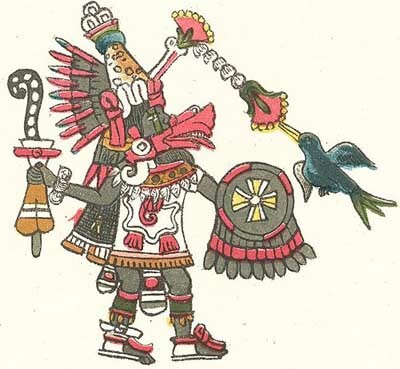 Pacal Votan believed it was critically important for humanity to return to the natural cycles of the 13 Moons. 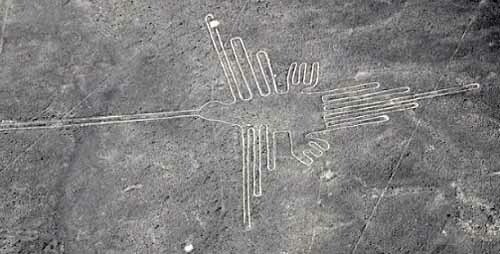 He had the necessary information inscribed upon his tomb in Palenque, Mexico after his death in 683. His beloved Bolon Ik [later known as the Red Queen], who was buried in the adjacent Temple  made an oath to bring the 13 Moons back to life. 1300 years later, Valum Votan [Jose Arguelles] decoded the inscriptions on Pacal’s tomb, and reintroduced and promoted the 13 Moons through years of global travel, and many books, interviews and articles. 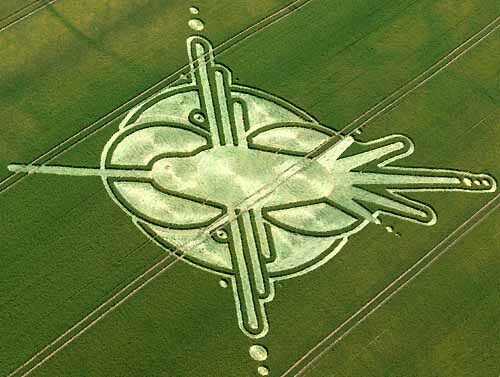 The next day, I learned of a crop circle that was placed 20 miles from my home, in which 28 circles [28 days in a Moon] extended from two high electrical towers, connecting with an 11-circled body that appears on the cover of Valum Votan’s book “Time and the Technosphere“. The Two Towers referenced 9/11, which Votan’s book referred to as the ‘puncture in the Technosphere’ which leads to the Noosphere. At the time, the 39 circles reminded me of 3×13, but during my trip to the Law of Time in Ashland a few days later, I learned that kin 39 was also referenced as 19:13, the time of the 9/11 message. Since that ‘awakening‘, I have begun each 28 day Moon on Sunday, as Valum Votan wrote in so many places. He had ample opportunity to correct me during our many times together, and never wrote anything to contradict his many statements that “Every Week, Moon and 13 Moon year begins on Sunday“. The “Day-out-of-Time’ crop circle that appeared on July 22, 2006 [“3 days early” according to the Law of Time site] and hours after I did the suggested Day-out-of-Time meditations ‘three days early’ on Saturday::Cosmic Silio 28, was further confirmation that each year, Moon and Week ends on Saturday, and begins on Sunday. The current ‘official 13 Moon Calendar’ is aligned with the Gregorian Calendar, and to ‘fit’ that crooked system, must skip a day or 2 each year. This is an auspicious day to begin “The Cosmic Turtle Calendar: 13 Moons of Harmony” 🙂 The Turtle has remained on this planet for 220,000 years with the emblem of the 13 Moons on it’s back, and usually 28 shells around the perimeter, to remind us of the 13 Moons of 28 days. The Turtle will remain the totem for the 13th Cosmic Moon, but most of the Moons will receive a new totem in The Cosmic Turtle Calendar [in part so that they aren’t confused with the names of some of the 20 solar seals]. In the Cosmic Turtle Calendar, the new totem for the Magnetic Moon of Purpose is the Hummingbird. This first day of the Cosmic Turtle Year is coded by Dreamspell Kin 10: Planetary Dog [a-n = 138] and Long Count Kin 223: Lunar Night. White Wind Wavespell 18: Power of SPIRIT codes this year in both 13 Moon systems. P E A C E WILL P R E V A I L !!! Today is a global celebration of Peace, Harmony and Freedom, initiated by the proponents of the 13 Moon Calendar: Jose [Valum Votan] and Lloydine [Bolon Ik] Arguelles. This is the first Galactic Freedom Day that we observe, without either of them. Lloydine followed her husband into Spirit 70 days ago. 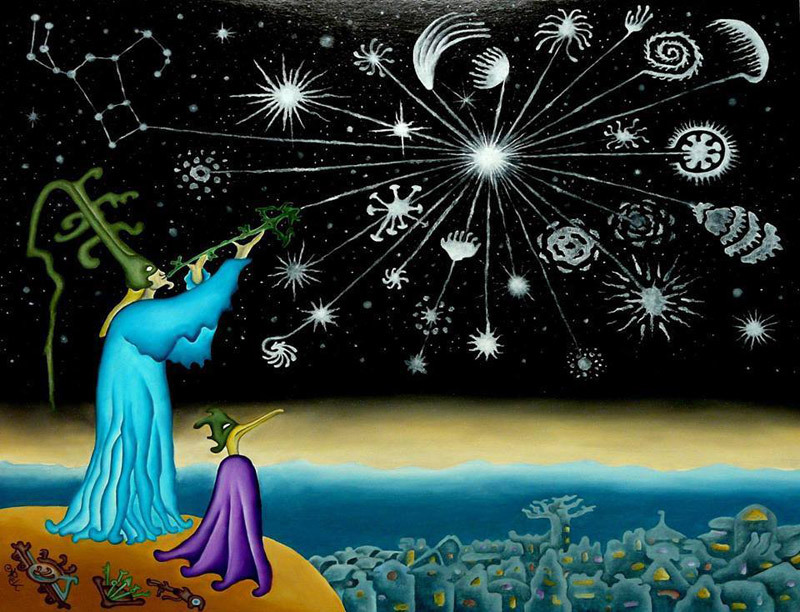 Galactic Freedom Day is on Gregorian July 25 [7-25] because 7-2-5 delineates the sacred ratio of 7 Galactic Spins to 5 Solar Spins. For example, this blog began nearly 5 years ago, on August 12, 2009, which was coded by Kin 21: Galactic Dragon. 7 Galactic Spins [of 260 days] later, Kin 21 will code August 7, 2014. This beautiful image is from The Law of Time. http://1320frequencyshift.wordpress.com/2014/07/21/day-out-of-time/ contains more information about the Day-out-of-Time, which Valum Votan also referred to as Galactic Freedom Day. Synchronistically, today is coded by Dreamspell Kin 8: the GALACTIC number of HARMONY. In the Long Count this special day is coded by Kin 221: Cosmic Dragon. Dreamspell Cosmic Dragon codes this 13th Moon. The Forests Way, Nr Roydon, Essex, United Kingdom. Reported 17th July. This brief last blog of the Galactic Seed year will be followed by a post on the first day of the new 13 Moon Year: Sunday, July 27th, coded by Kin 10: Planetary Dog. The beginning of the New Year synchronizes with a New Moon 🙂 That transmission will explain why I continue to begin the 13 Moon Year [and each Moon and week] on Sunday, as decreed by Valum Votan in so many places. As I write these words, and post this blog, it is the Galactic Mirror watch of Galactic Star :). Perhaps the attributes of Truth and Integrity inherent in that Seal and Tone are part of the reason I persevere with this version of the 13 Moon Calendar. Let’s remain united in our devotion to the 13 Moons, the Mayan’s sacred 260 day Tzolkin. and our love for each other and our Earth. On this Galactic Freedom Day, let’s focus on PEACE, which our Earth needs more than ever.